I can’t figure out how to compare two data sets with date intervals form each year. Only the start and end date are the same days, the rest is spread over the period. And there can be more points in one data set than the other. They should be compared in a graph in Google Sheets. I have made this test sheet to show my data sets. How can I do this without changing the data sets? 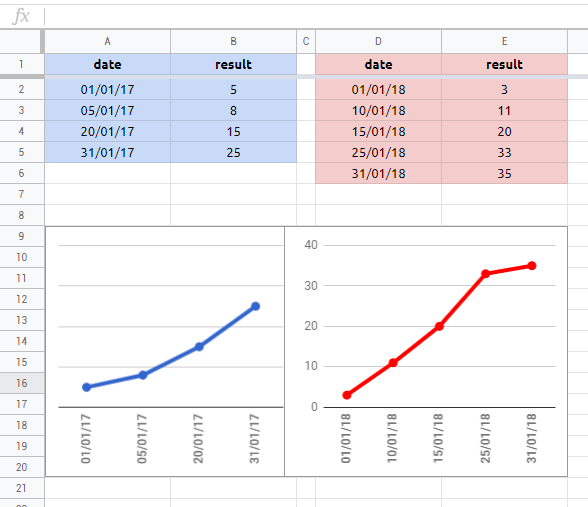 Why don't Google Sheets graphs lay out my points correcty?